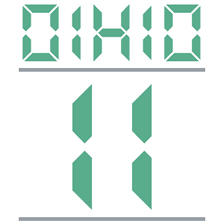 Mirror hours and reversed mirror hours have connections with both astrology and numerology. If you ever come across these rather specific hours on the clock then it is because the supreme forces at work in the universe are sending you messages which you are going to need to interpret. It was the Swiss psychiatrist Carl Gustav Jung who first discovered this special phenomenon and its relationship to the idea of synchronicity. Synchronicity is the accidental and simultaneous occurrence of two events without any obvious causal link between them, in other words two phenomena which happen at the same time without either being the direct result of the other. In this way, nothing connects you to your watch, your alarm, or to any other clock when it displays a mirror hour or reversed mirror hour at the same time as you looking. We look at our watch several times per day and sometimes we will be surprised by the time shown. We may find the hours on the clock rather shocking, with the same figure either repeated (mirror hours) or reversed (reversed mirror hours). If you have come across the reversed mirror hour 01:10 then be aware that there is a reason for it, even if you aren’t sure what it is yet. This wasn’t a coincidence or a random occurrence, this hour has real significance. When you come across the reversed hour 01:10 it suggests that you should take note of your strengths and weaknesses. This hour may appear for several reasons, either: your spirit is in torment, you feel betrayed, you are about to make a dangerous discovery, what you are learning is going to bring you harm, or you are going to face obstacles in your endeavors. If you regularly come across the reversed hour 01:10 the angel Elemiah who symbolizes protection and success is trying to send you a message, he has something to tell you. He is trying to ease your mind and help you to identify people who have betrayed you. The goal of this is not to seek revenge, but to allow you to make your peace with them. The angel Elemiah is also telling you that he is there to help you succeed professionally. He gives you a sense of initiative and enterprise. Thanks to the strength he gives you, you will find it easy to take action and make decisions quickly. He gives you a natural air of authority as well as a sense of equality, integrity, and truth. The guardian angel is also telling you that your energy makes you an optimistic person, and that you need to keep this state of mind in order to make it through the difficult times quickly and easily. Even if your problems seem impossible to overcome, he is beside you to keep you from throwing in the towel. You live your life in peace and set yourself apart from any kind of commotion or trouble. 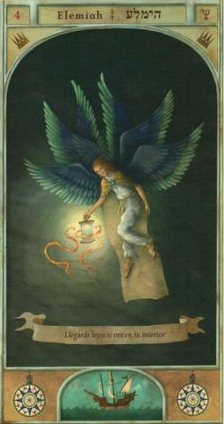 Elemiah also seeks to clarify that he is the angel who will protect you from curses, sorcery, witchcraft, or from any other occult influences which may cause damage in your life. He is always beside you to keep evil at bay and will also help you to control and fight against anger and violence. By means of this reversed hour Elemiah will steep you in the courage and force of will you need to conquer all adversity, giving you more time and energy to lead a happier and more serene life. He allows you to find inner strength which you can use yourself as well as share with others. 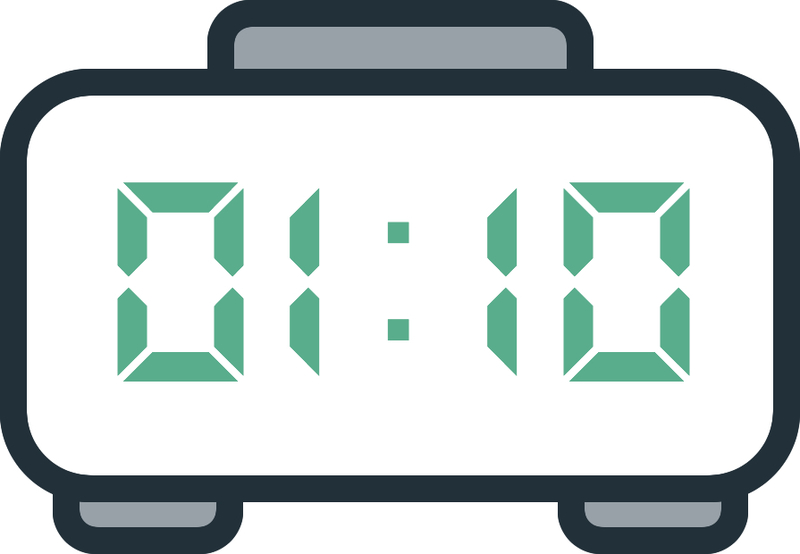 What does 01:10 mean in Numerology? The number 11 which stems from the reversed hour 01:10 represents intuition, idealism, willingness, and courage. However it also symbolizes contradictions and tension. It is the channel which directs information from the top to the bottom. It could therefore also be considered a bridge or an intermediary between the conscious and unconscious minds. The numerological significance behind this number is a source of inspiration for you. Thanks to this number, you will inspire others through the energy it spreads within you. Naturally, this will bring you power. But if not channeled correctly, this power can also become self-destructive. As a dominant number the number 11 also gives you strong ambition and a desire to accomplish something great, but this will be in vain without the necessary confidence in yourself. You must also be careful as this number is also associated with anxiety and stress. Because of this you must make sure to focus on really specific goals. The number 11 gives you great powers of invention. You will become more patient and have great skill and finesse in supporting others. Thanks to this you will find it easy to work in a group while creating great harmony within it, but you should work on developing this ability in order to benefit from it as much as possible. The angel number 11 also gives you a keen sense of balance, beauty, and rhythm. With it, you will become a passionate and sensitive person. Your clairvoyance gives you awareness of the needs and desires of your partner; you are able to give them fulfillment because of how thoughtful you are. Any comment on the 01:10 mirror hour?